Rodents pose a serious health threat to anyone who comes in contact with these critters. In addition to the unpleasant experience associated with a rodent infestation, these pests also carry a variety of diseases that can be transmitted to humans through even minor forms of contact. It is important to understand how these pests get into the home and where they build their nests. Getting rid of a rodent infestation can be difficult, but many people like to try common home remedies before calling a professional pest-control company for assistance. This list of the five best home remedies for rodent infestations is intended for informational purposes only, and it is not meant to replace the assistance of a qualified pest-control expert. 1. Prevention: Take precautions whenever possible to prevent rodents from being attracted to your living space. The steps are identical whether you reside in a home or in an apartment complex. The most effective steps are the most simple. For example, always cover the trash can to avoid allowing smells into the air. Rodents are attracted to anything that is rotting. However, they will also eat fresh food, so you must always keep your food supplies covered in sealed containers. 2. Cleanliness: If you do experience a rodent infestation, clean all your surfaces immediately. Use a strong cleaning agent like ammonium peroxide. If you don’t have any available, use hot, soapy water. 3. Aromas: There are some aromas that are known to repulse rodents. This can help you to mitigate the severity of the infestation. For example, hot peppers and mint scents are repulsive to rodents. They are sensitive to the smell of onions as well. Cooking with these flavors can help you to repel rodents before they even try to enter the property. 4. Mashed potato flakes: This remedy is amusing, but there is a reason why it works so well on rodents. If you see one of these pests, try sprinkling some mashed potato flakes around their entry holes. If they eat these flakes, they will expand in the stomach, and this can kill rodents. Our service professionals can assist anyone who is struggling with a rodent infestation. It is important to remember that diseases can be transmitted through rodents, and people who have a compromised immune system will be especially vulnerable. This includes the elderly and the very young. Eliminating the rodent infestation is an extremely urgent matter for people who have severe illnesses. The rodents can also carry various bugs in their fur. Once they get inside of the home, it becomes increasingly more difficult to manage the infestation. We recommend taking immediate action. 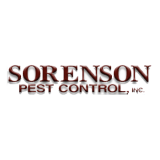 Contact our service providers at the first sign of a rodent infestation for the best results.